That little, tiny strip of your game logo on Steam is really, really useful. Take a second look at it, and try to improve it to grab more eyes. Also, consider tweaking your Tags. Unless you've released on Steam before, you probably don't know how extremely powerful that slot is. We had 4 games released in one day, and we compare and contrast why one game got a lot more clicks than others. This article is about examining a tiny sliver of art which very much influences how much traffic ends up on your game's Steam page. As we can see by visiting the main page on Steam, there are several categories where games are shown. 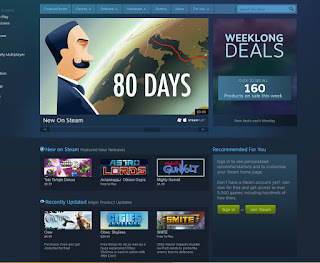 We can see the large, top part--currently it shows 80 Days--which cycles through many games and the lower, smaller section that reads "New On Steam" just above. The valuable, New On Steam section. This "New On Steam" part is where we'll focus on our time and thoughts, but let's first look at a few points. Now, without running afoul of any agreements we have with Steam, we can still determine and talk about some interesting points. Anyone that spends some time analyzing the front page for a few days can see a pattern. If you keep track of games that show up on the Upcoming tab near the bottom, and then compare them to games in the New On Steam section above, you can see that it seems that games that went through the Upcoming section get some time in the New On Steam section. The Upcoming Games reasonably seem to show up in the New On Steam section. So we have the idea that, 'Upcoming Games' move to 'New On Steam'. Without saying how many potential times gamers could be shown your game banner, let me just assure you it's a substantial amount, that any developer would be happy to have. It's a very nice setup, since independent of your marketing budget the New On Steam section affords (apparently?) every game an opportunity for a lot of people to see it. So, let's accept the assumption that the New On Steam section is very valuable and powerful. Once you have your game on Steam, you get access to some nice traffic analytics, breaking down how many people saw your game banner in the New On Steam section but also how many clicked on it. You get to see total views and total clicks. I'm personally in an uncommon situation, in that we recently ported 4 of our popular XBLIG games to Steam, and released them all on the same day. From that, I now have 4 data points from the same time period. 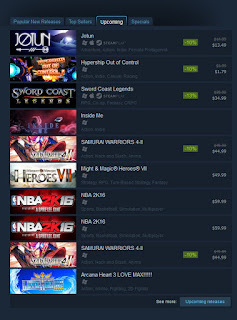 While anyone could simply watch the Steam front page for a while and track how long games show up in the New On Steam section, I'll tell you, for us all 4 games stayed on there about 10 hours each. Steam also shares with you the *average click-through rate of other games*. One of our games matched this average. Two of our games were nearly twice the average. And our final game had over *three and half* times the average number of clicks. 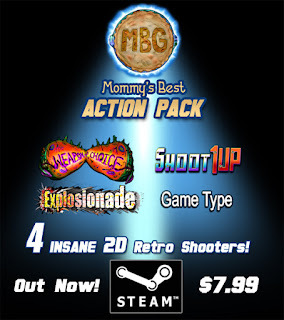 All of our games in the "Mommy's Best Action Pack" were critically praised over the years. 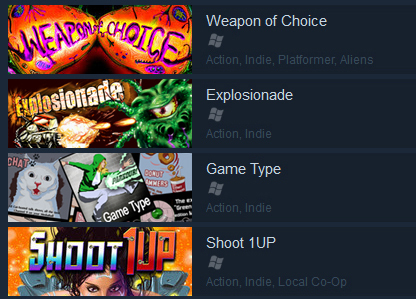 The popularity of the games goes in this order: Shoot 1UP, Weapon of Choice, Explosionade, and then Game Type. 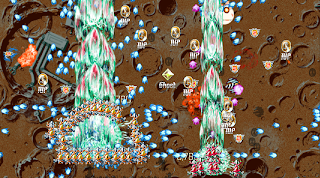 Game Type is a fun but very strange game, plus it's an extremely niche 'caravan' style shoot 'em up. It never sold well, but it was respected. Instead, in this case, the click-through breakdown went like this: Game Type had 3.5x the average number of click-throughs. Shoot 1UP and Weapon of Choice both were over the average at about 1.8x times. And Explosionade simply had an average number of click-throughs. What does this mean? For me it shows what I'd expect, that Shoot 1UP and Weapon of Choice had some brand recognition, and brought some people through to their game pages. This is good. But the puzzle for you to consider is: What happened to Explosionade (average click-through) and Game Type (amazing click through)? Obviously we all work hard to create the game logo and the title treatment. 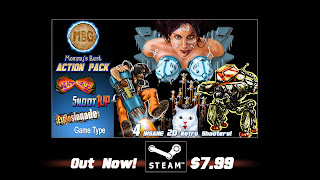 But the wide, small game banner used in the New On Steam section is tough. It's horizontal and it's small. You don't have a lot of space to show off your game... or do you? I took this as an opportunity to consider the art used for each of my 4 games and you should look at yours as well. Here's what the banners for each game looked like at launch, during the traffic period in question. Here are my notes from looking at the art. 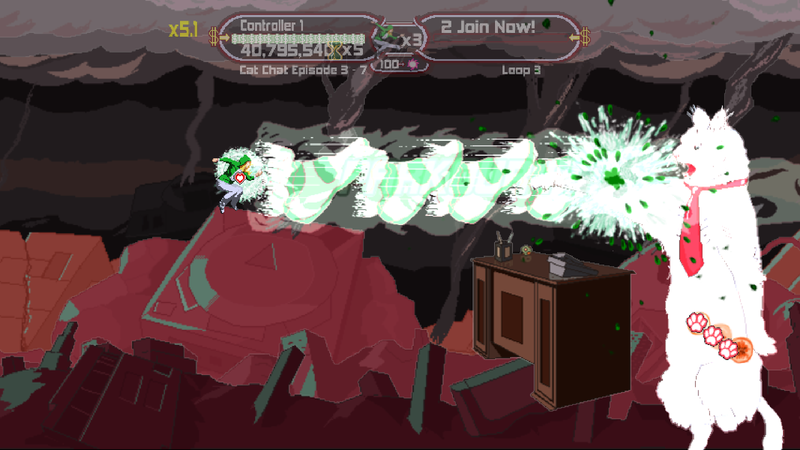 The Explosionade title takes up more room than any other game art here. Game Type text takes up the least space. Weapon of Choice and Shoot 1UP are very colorful by comparison, and bright. Game Type has an identifiable human girl, kicking, which is strange. 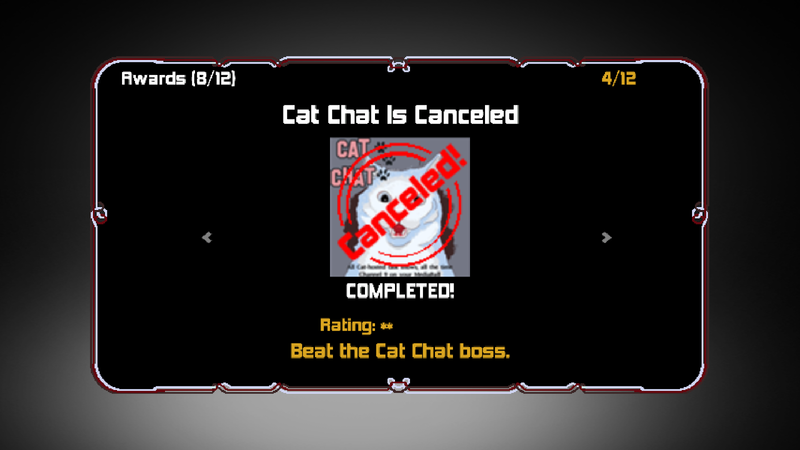 You can kind of make out a cat in Game Type. For Explosionade, I can make out two bullets sort of, but I can't tell what's happening on the lower left, it's mostly a wasted opportunity. The monster on the bottom right of Explosionade shows his eye, but loses a lot of context, which could mean for some people that the coolness of seeing the glowering monster is lost. 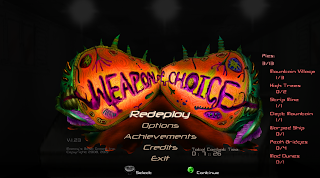 The Weapon of Choice 'font' is weird and non-standard and has strange organic shapes all over it. Shoot 1UP has a girl who is peaking over the edge, this is titillating. Here is the new version of the game art. The main changes to Explosionade are to give things more context, and reduce the text size. 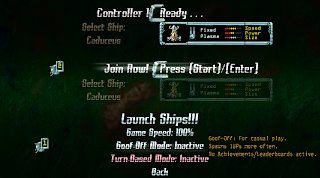 Keep in mind players will see your game name, just to the right, in plain text. They will know the game's name, so can reduce your title art somewhat if you have more interesting things to show. 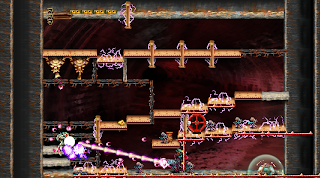 I've increased the space the mech on the lower left takes up, and increased the space the monster on the right takes up to indicate the cool fighting in the game. Game Type was made brighter and the other two games were not changed. The other thing to consider is that I labelled all my games "Action", and "Indie". 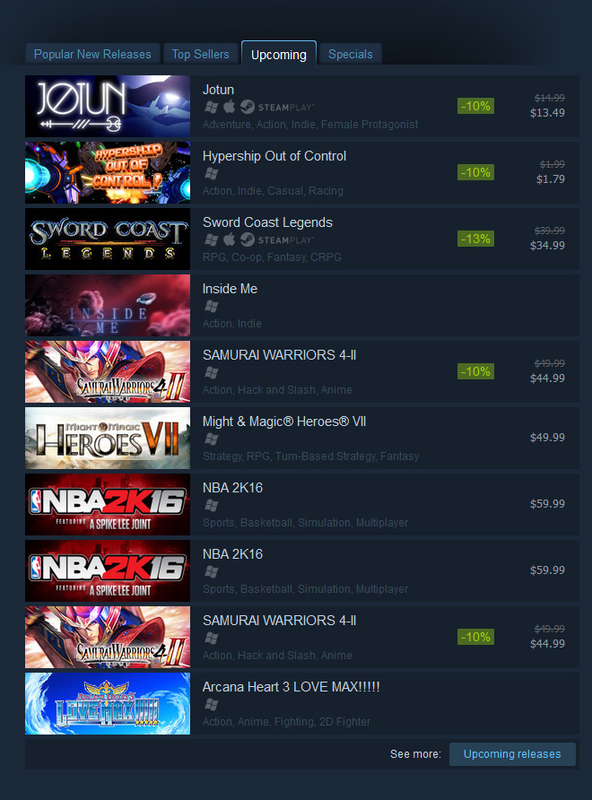 There is a *broad* selection of games on Steam that fall into those categories. I wasted my chance by not labeling Shoot 1UP and Game Type as "shoot 'em up" (much fewer games) and I wasted my chance to label Explosionade as "Mech" (very few games). 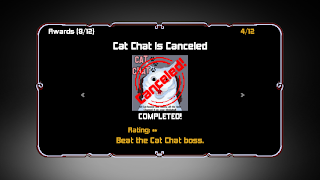 Players could have quickly seen those words just to the right and had another reason to click! What's the Point Now? The Moment Is Not Gone! Why improve the art, after the games are out of the New On Steam part? Because that same art is used all over Steam, in the 'More Like This' section and the 'Recently Updated'. You get more chances to catch player's eyes! Redemption! If your game had a poor performing click-through rate on launch, you can do better it! As I said, if I could do it over, I should have added more useful tags to my games (the "User-Defined tags", not the search words, which are also important). Adding custom tags that make sense to your game, but some that are also specific. In any case, take another look at your game banner, especially the small one, and make sure you're making most of it. There are a lot of eyes on that tiny piece of art and you can get more clicks with it! 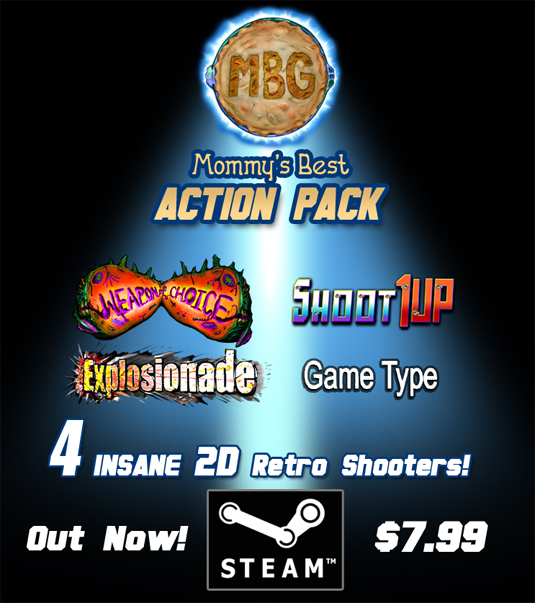 The Mommy's Best Action Pack is available now on Steam! The price is a handsome $7.99 and you get 4 of the weirdest, wildest 2D action games around! All games have been enhanced for Steam with Achievements, Trading Cards, Leaderboards and more. And each game has been remastered and improved for the perfect PC experience! 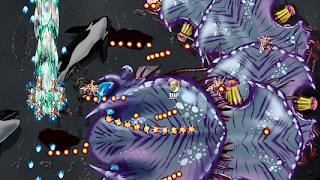 Shoot 1UP and the stage 2 boss! Shoot 1UP and the Trundle Fisher from stage 3! If you've enjoyed our games over the years, be sure to tell your PC friends to check 'em out. It's a big help to us, thank you! All our award-winning action games we made for the Xbox 360 are now coming to Steam! 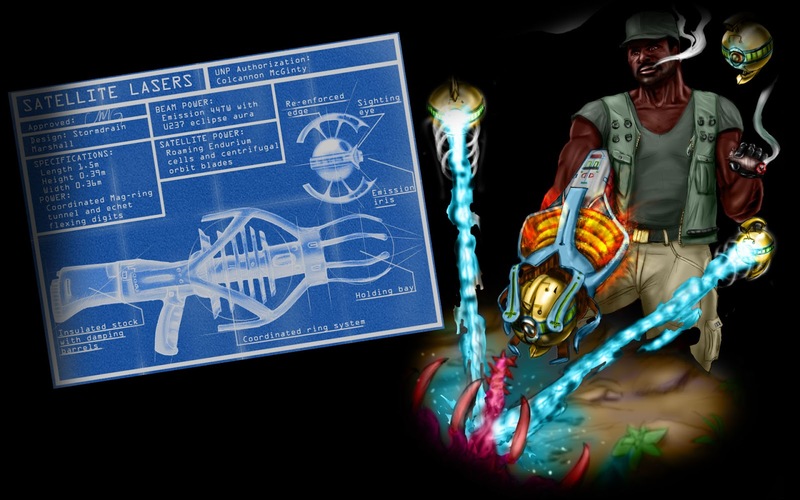 The games are Weapon of Choice, Shoot 1UP, Explosionade, and Game Type. Each game has been re-tuned, improved, and enhanced using all the feedback over the years to make these version the ultimate experience! 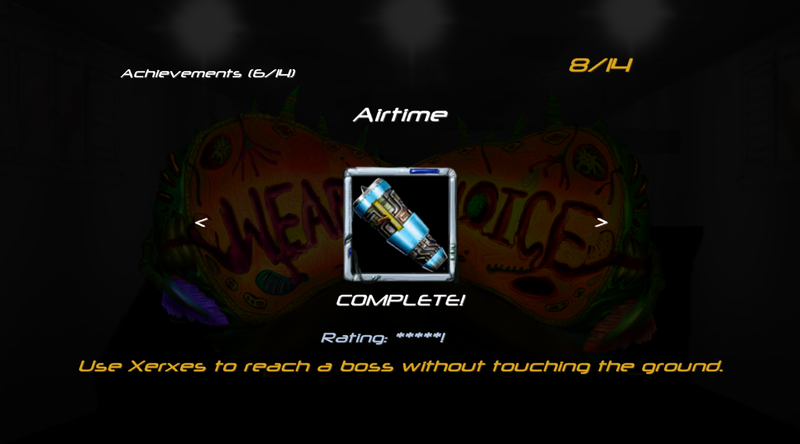 They are also enhanced with Steam Leaderboards, Achievements, Trading Cards, remappable keyboard controls (and of course Xbox 360 controller support), and more! The Mommy's Best Action Pack is out on Steam on September 23rd for $7.99! Boy, I've been working really hard on porting the games, and improving them over the summer--it's really fun to get to talk about it finally! Hey, time to check out what we're up to. Those games sure look tasty! 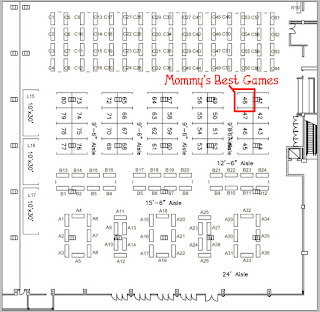 For the next two weekends Mommy's Best Games is excited be demoing and sharing our games locally at some very fun Comic Cons! June 20th and 21st, come out to the Derby City Comic Con here in Louisville, KY.
Tickets for both days are only $20 and kids 10 and under get in free! We'll have Finger Derpy and Pig Eat Ball on display there, some come by and challenge us to a game! 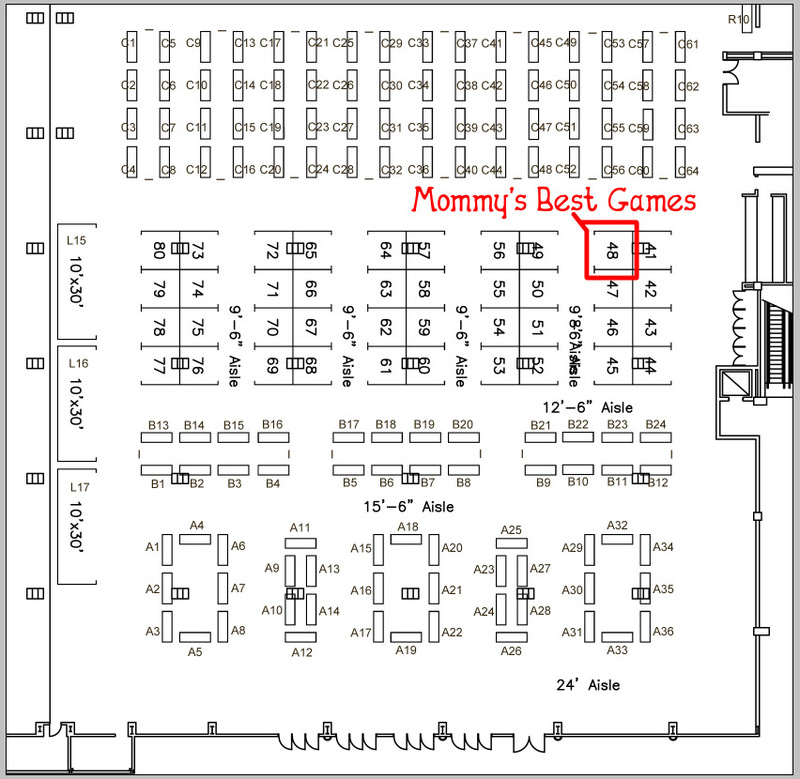 Find BOOTH 48 to play this weekend! And then the weekend after, we'll be up in Indianapolis for the Indy PopCon! It runs June 26, 27, and 28th for three big days of comics and games! Three-day admission is $45 for the whole weekend, or $20 a day, and kids 10 and under are free! We just released a new game, and it's called Finger Derpy! The game answers the age-old question--what if horses controlled like canoes and they had rubber necks? 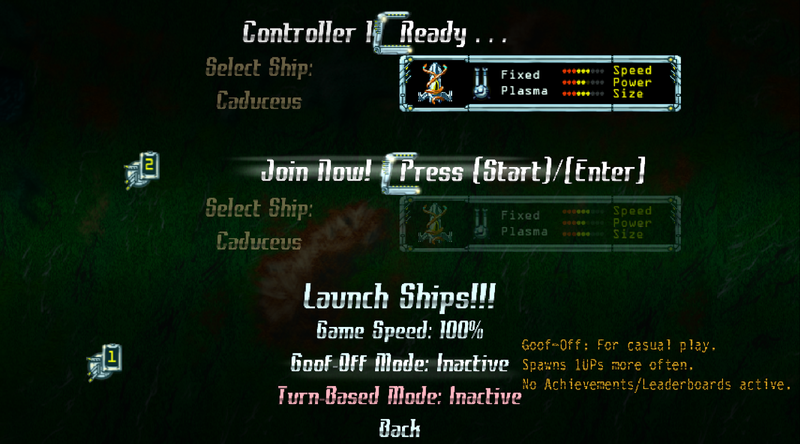 The game's control system is unique. Instead of automatically running, you have to control your horses front hooves, with your two fingers to get the horse to run. Tapping left, turns your horse forward and to the right. Tapping right, turns him left. It feels backwards, but you can get the hang of it after a bit of practice. The game takes place in a stylized version of nearby Louisville KY, and we even partnered with local, iconic businesses to lend more authenticity to the experience. Places like Muhammad Ali Center, KY Science Center, Louisville Stoneware, CenterStage at the JCC, Louisville Orchestra and more are *in* the game! The player dodges the Foucault pendulum from the Kentucky Science Center on Main St.
How? 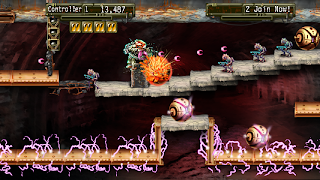 Well each business has a unique gameplay element. For instance the Orchestra has timpani drums, the sound from which can knock the player's horse around. Stoneware has floating teapots that the player can dodge or crash through! A group of teapots from Louisville Stoneware circle in the tobacco fields. The Solo mode let's you upgrade your horse, and unlock new horse breeds with new special powers, so there's considerable depth, even though it's a mobile game. The Party mode is very unique in that it allows up to 4 players to race each other, all on the same device! 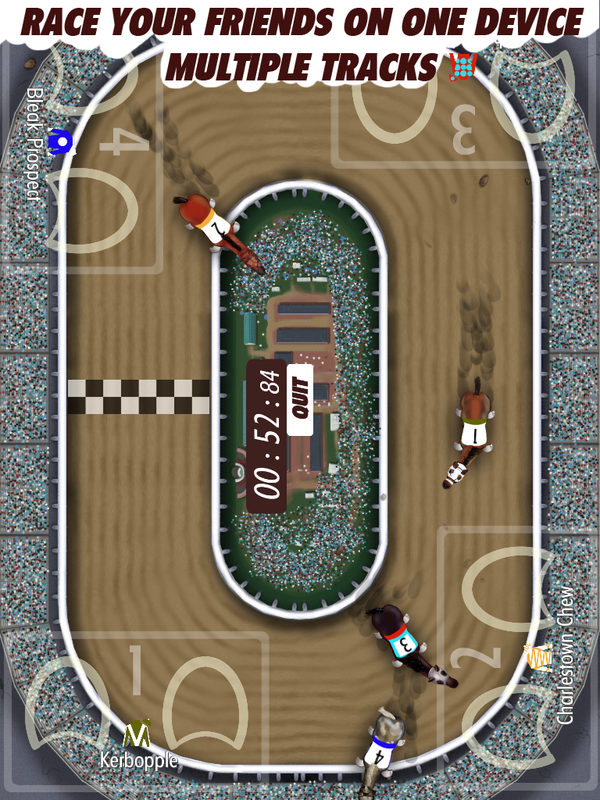 Yes, this works best on a larger device like a tablet, but we've done plenty of races as well on a phone. Finger Derpy is our first, broadly released mobile game, and it's extremely satisfying to share the game in a simple way. I can talk to someone about making games, and tell them the name of our game, and they can play it within minutes. Before, explaining the Xbox 360 and it's special download stores, and expecting them to be able to find the game later was a definite hurdle. Make sure you download Finger Derpy from the appropriate store, and tell your friends and family about it. It's a big help and support. Thank you! 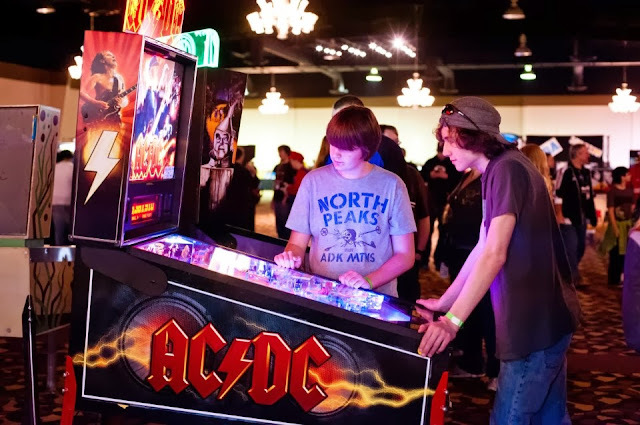 The Louisville Arcade Expo will be March 6th-8th and will feature tons of classic arcade games and pinball machines! It's really a great show and well worth taking the whole family too. There's even lots of classic console games set up for play in different rooms around the convention. 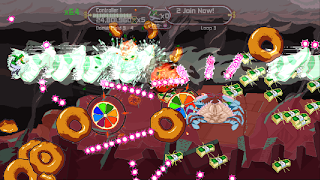 Also we'll be there, showing off the new and improved changes to Pig Eat Ball! And we'll be debuting our secret, brand new mobile game at the show! 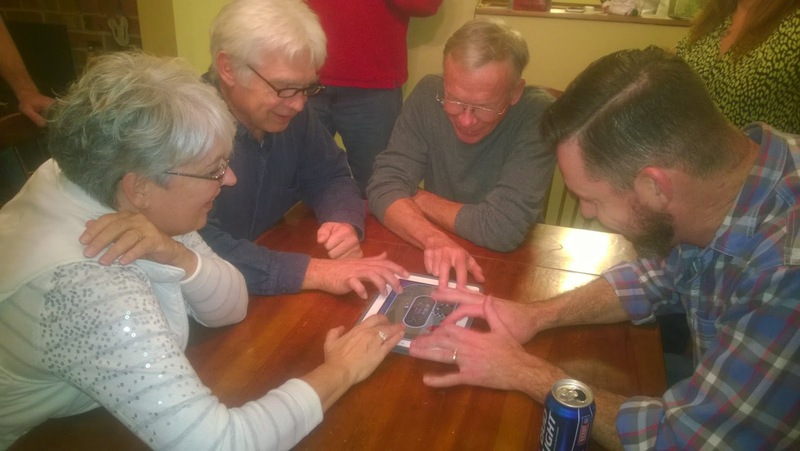 What is this crazy, 4-player mess they're playing? Get your tickets before the show for a good discount. Kids 10 and under are free with an adult! I'll be at the Game Developers Conference next week for a few days, catching up with other developers, and listening to some talks. If you see me around and wanna chat, come up and say 'hi'! Tampon Run is a game designed by two young women who met at a 'Girls Who Code' workshop. The game is good art because it challenges the player to reconsider a normally taboo topic, and because it reflects real events for the viewer to ponder anew. 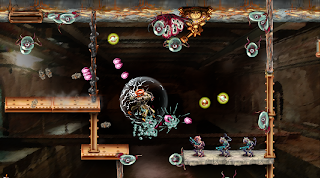 The gameplay has players running and throwing tampons at people coming at them. The tampons are used as weapons. This may seem silly or forced, but it was motivated by real-life political events. In 2013, during a vote for an anti-abortion bill, women that were allowed into the Texas State Capitol were having their tampons and maxi-pads confiscated, for fear of them being used as weapons, that is, being thrown. Ironically guns were still allowed into the Capitol. Let's think about that--actual weapons were allowed in, but tampons were not. The tampons were confiscated so as not to have them thrown and maintain the 'rules of decorum' but it sends a mixed message, that in a way, the tampons are more dangerous. Tampon Run plays with that concept, by having the player throwing the tampons as real weapons and stopping people coming at the player. It's also funny to consider the title as a 'tampon run' (going to get tampons from the store) and a play on title 'Temple Run' the hugely popular, infinite runner series. Putting a game on the AppStore that talks about menstruation and tampons is a bold move, because, while there are tampon timer apps for women, this puts the game in front of a bigger audience. It has the potential to help younger men and women consider the topic of menstruation and hopefully demystify it (through explanations at the start of the game) and remove some of the stigma. Our next game, Pig Eat Ball, is a grand adventure in the vein of the Mario Galaxy series. But we are also making a new, secret mobile game about which we're very excited! 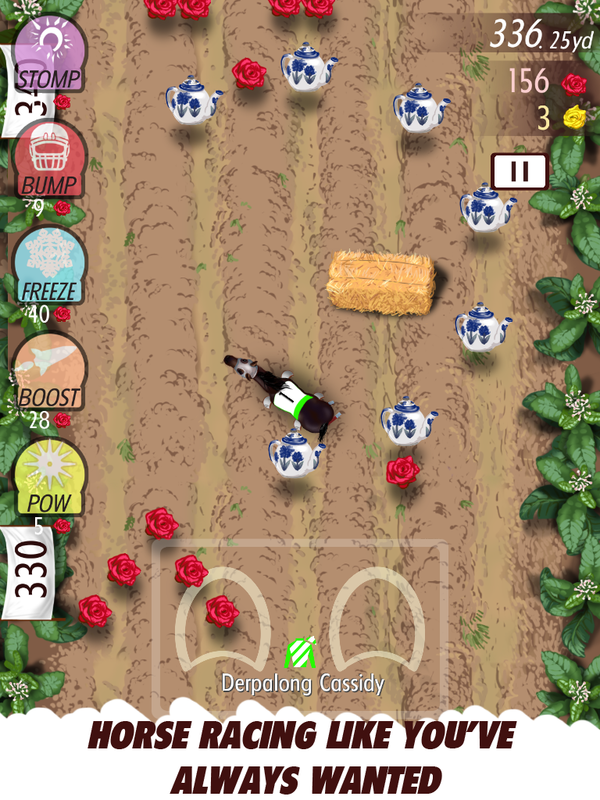 With that in mind, we examine some other mobile game design choices. 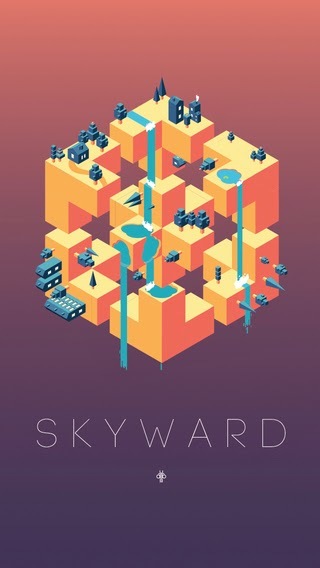 A new game called Skyward was released a few days ago. It heavily borrows its aesthetics and Escher-like geometry from another game, Monument Valley, but the gameplay is different. It's an infinite-runner style design, in which you have to climb as high as possible. You control two dots, and each step is scored. Similarly, Crossy Road is another infinite-runner game in which each forward step is scored as well. 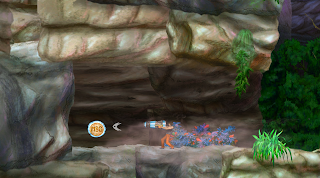 And an older, auto-scrolling runner game Jetpack Joyride has you trying to fly as far as possible for the best score. These games all have different reward systems and I've been considering their differences to look for things I liked. And while we're at it, Flappy Bird will come up too. It is another infinite-runner. Its score system is based on distance too, but it has no content reward system. 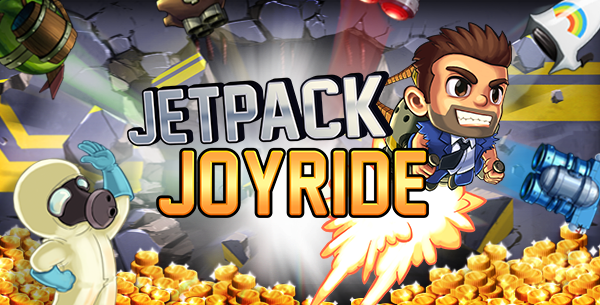 Jetpack Joyride is on the content-heavy end of the spectrum. In the game you can collect small coins which you continue to accrue across plays. These are stored and you are able to spend them to unlock many different pieces of content including: new head art, new body art, new jetpack gameplay, new one-time powerups, and more. Crossy Road features a coin system also, and you accrue coins across plays. However, there is only one type of content to unlock, which is new characters to use. 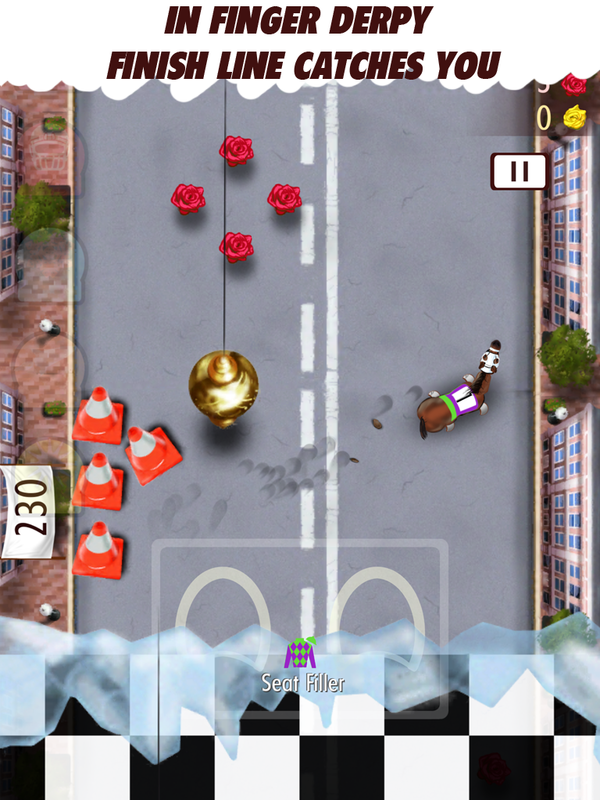 There are dozens of characters, such as a wizard, a dog, a basketball player and more. While none of the characters modify gameplay, some make different sounds, and some do ancillary things while you progress (for instance the wizard can zap and burn trees and cars around him). For every 100 coins, you get the chance to possibly unlock a new character. 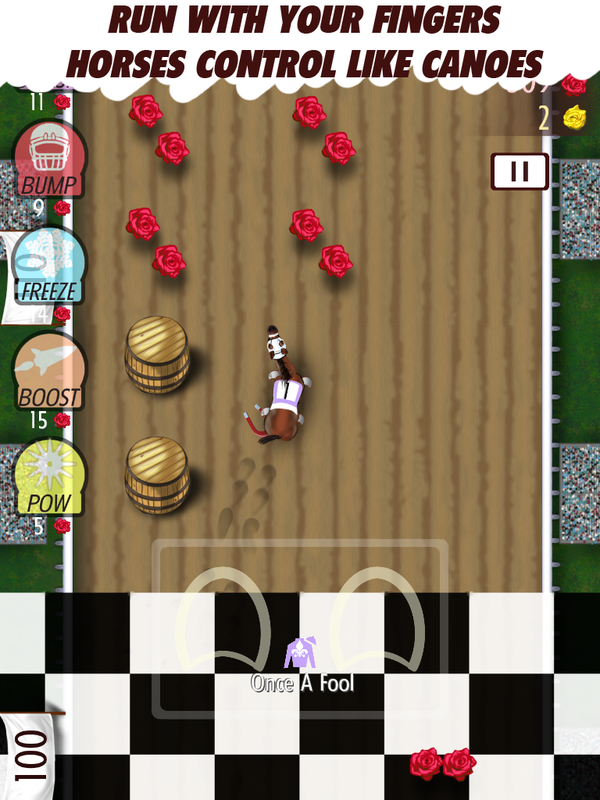 Skwyard measures steps to unlock new content, but the steps do not accrue across plays. 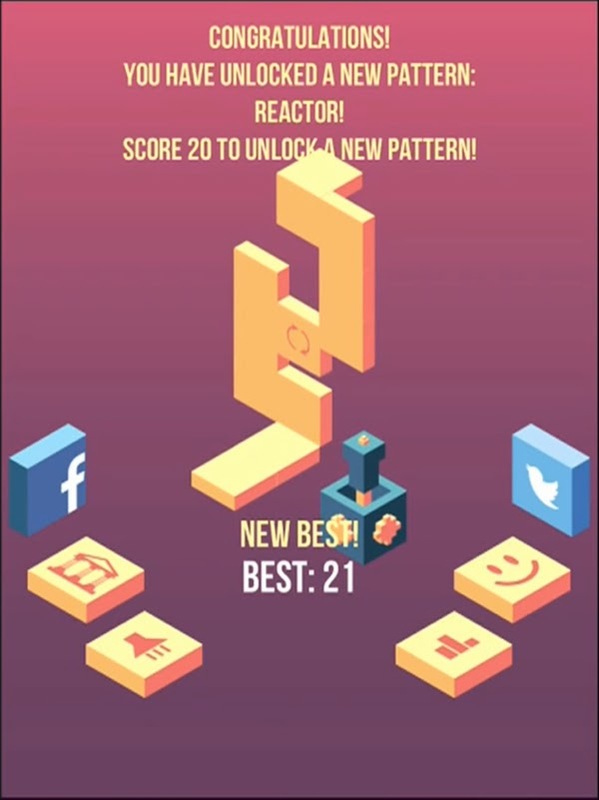 Once you hit a new high score, such as 20 steps, 30, 40, etc, a new pattern of gameplay is unlocked. This new pattern will then show up in the gameplay. All of the games use systems in which level/environment content is randomized with each play. The patterns unlocked in Skwyard begin to show up randomly as you play. 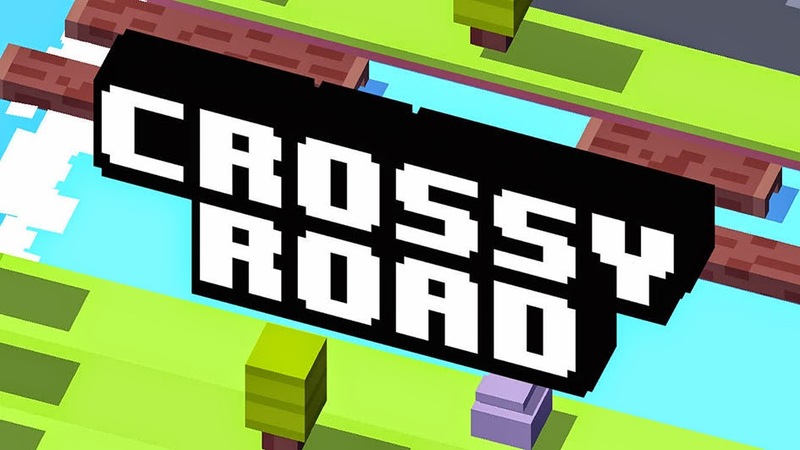 Crossy Road has a few segments that it interchanges: grass and trees, roads and rails, and water and logs. 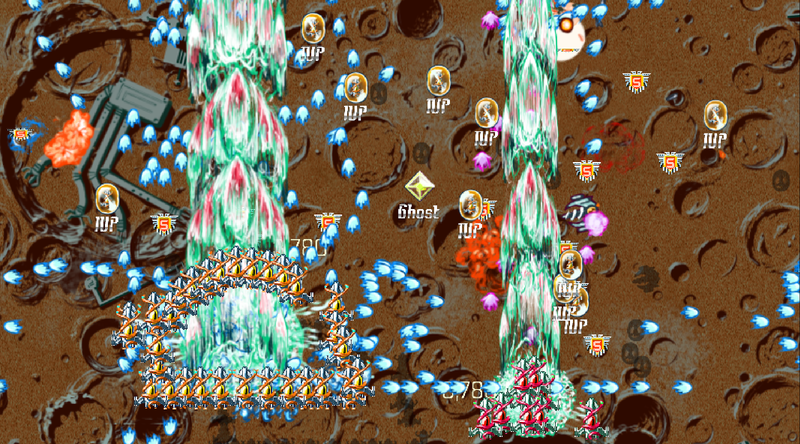 Jetpack Joyride has a system in which large environment chunks may possibly show up as you play. Players always start out in the lab, but eventually they can encounter a warehouse, a greenhouse, and even an underwater tube. Players do not control this type of content, except through repeated plays. Additionally, the coins and enemies in Jetpack Joyride have different patterns in which they can appear, and these patterns are randomized during plays, and intermixed with the different environments. Crossy Road randomizes where it places coins, but since they are singular coins there's no new patterns to notice, though the difficulty of coin placement can change. For instance, sometimes a coin can show up on a log, or around a corner. Because it does impact their structures, let's look at monetization briefly. 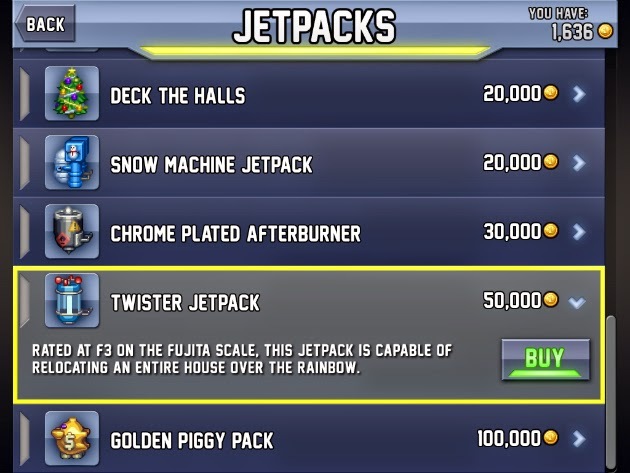 For Jetpack Joyride, their current system is only through in-app purchases (IAP) of more in-game coins. Players can spend real money to buy coins or grind to get more coins. In either case, they'll spend their in-game coins on new content. 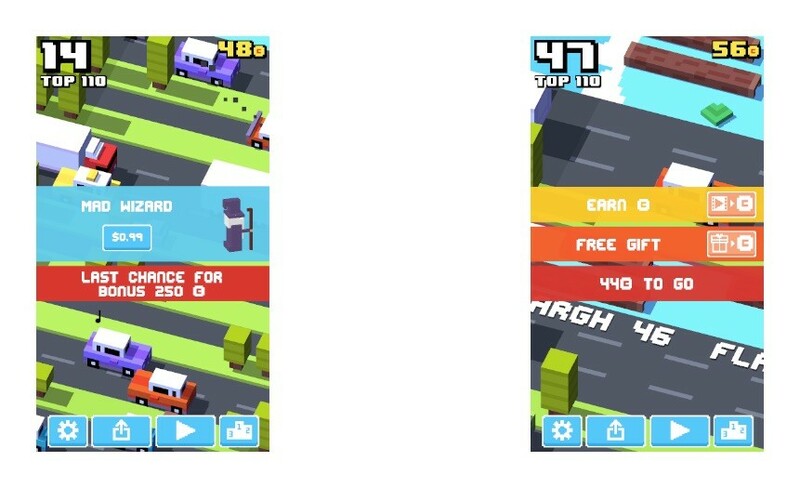 Crossy Road is a blend of IAP and full-screen ads. The ads however are only shown when the player decides to watch them. 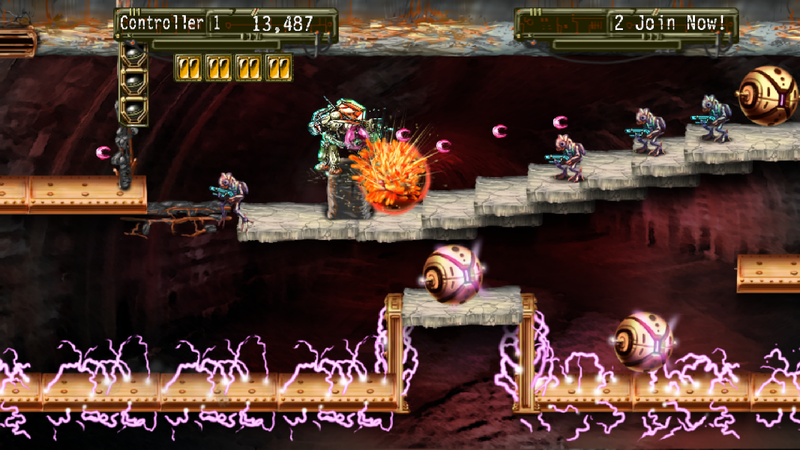 Players are rewarded with in-game coins. Players can unlock the new characters with real money (directly) or with in-game coins. Skyward only uses ads. There are fullscreen ads and banner ads. 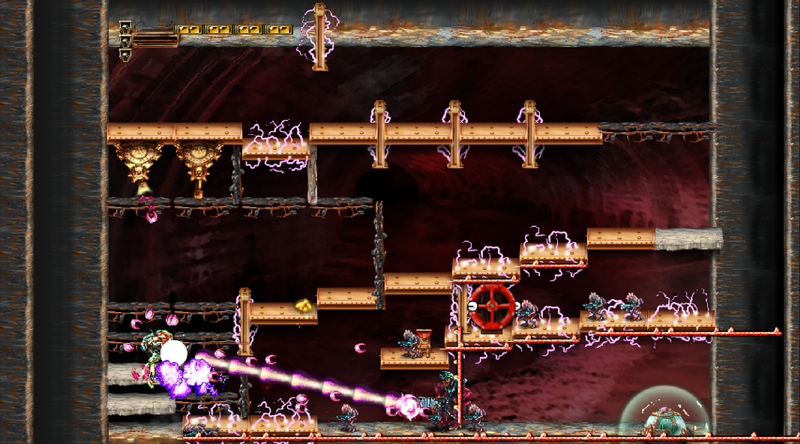 The banner ads run during gameplay and the fullscreen ads run after you die (though not necessarily after every death). Suggestion: I'd move the banner ads to the top of the screen, not the bottom as it's possible to accidentally click them. 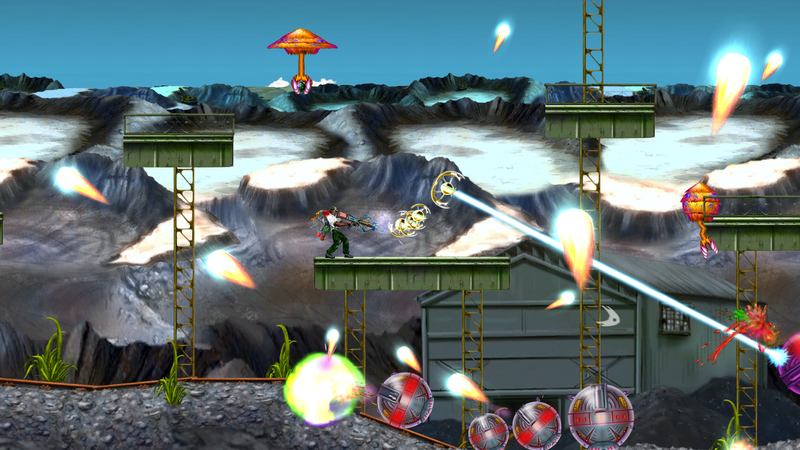 Jetpack Joyride is a very content heavy game, with a large store in which to spend in-game coins. Skyward and Crossy Road unlock system are similar but also different. Both have a single content type to unlock (patterns and characters). The important distinction is in Skyward there is only one thing to consider. How far did the player get? The high score is exactly the goal *and* the path to unlock content. 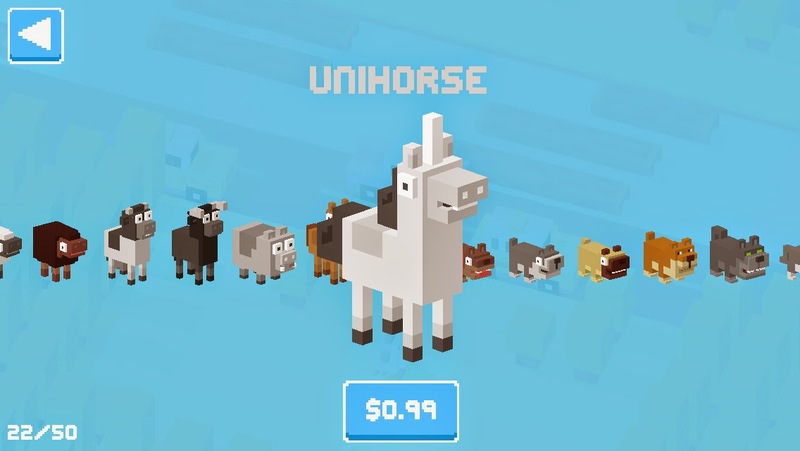 In Crossy Road, the high score is the assumed goal, but the player also gets to consider in the back of their minds, that if they keep collecting coins, they'll get to unlock a new character. 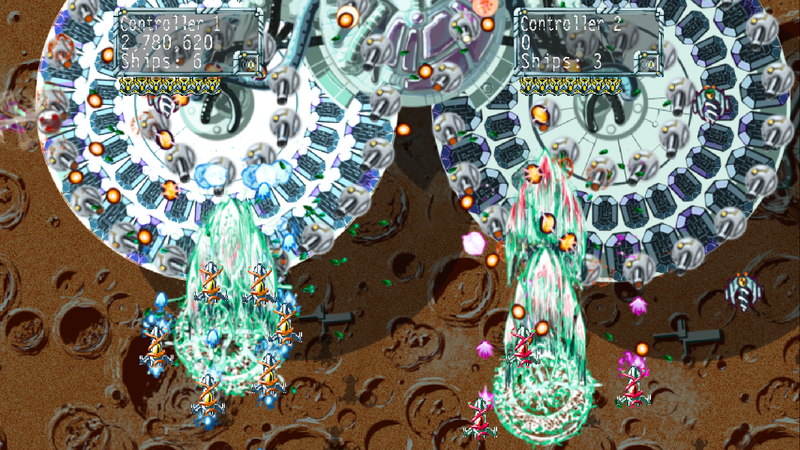 The goal to get the high score is open--players are not required to grind to achieve a high score. The grinding is purely player-driven to get a new character, and fortunately the grinding meshes nicely with trying to get further in the game. Similar to Flappy Bird, in Skyward the singular goal of getting further can be compelling, but I personally find having some other thing on my mind more interesting. By fusing the presumed goal (get high score) and the reward system (high scores unlock content with no carry-over between games), there is only one thing on the player's mind. Get the high score. Whether this is compelling enough for extended play is a matter of personal taste.